Sick of the marriage question, Oxford University student says 'I do' to herself! Right from hiring the dress to walking down the aisle and even giving the wedding toast, Lulu's mock wedding - minus the groom- for which she even sent out invites has been making the headlines. Succumbing to parents' pressure 'to settle' is something most young Indian women experience. On many occasions, parents' constant nagging can be a pain in the neck. Unlike a majority of people who consider marriage as a top priority in their lives, Lulu Jemimah had very different plans. This Masters student from Oxford University, who got too tired of this recurring question, decided to marry herself! Yes, you read that right. Lulu married herself. Right from hiring the dress to walking down the aisle and even giving the wedding toast, Lulu's mock wedding on her 32nd birthday- minus the groom- for which she even sent out invites has been making headlines. The wedding which took place on August 27 was performed on a shoestring budget of not more than 2 pounds (almost Rs 200), thanks to her friends. The money, Lulu says, was paid as the taxi fare to the pub venue! A friend who works as a web designer wrote and printed her invites, and her friend paid to hire her dress, while her brother baked her cake. 'As soon as I sent these out I immediately received phone calls asking who the groom was. I told people it was a surprise,' Lulu told the Daily Mail. 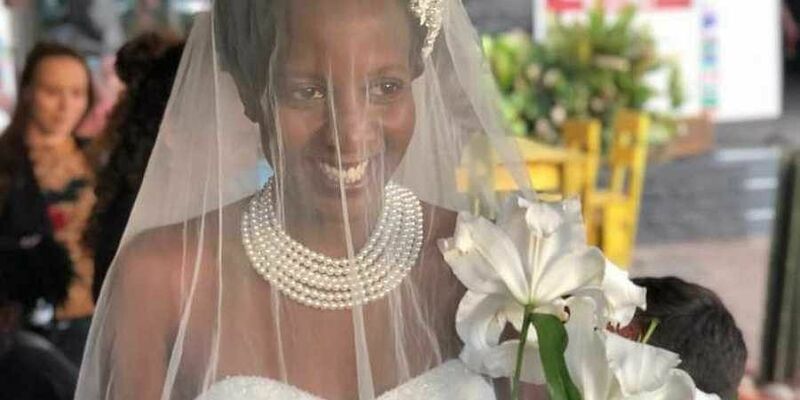 Lulu's baffled Ugandan parents didn't show up on her 'big day'. The young scholar is committed to achieving her goals towards becoming an academic. 'But I just didn't want to think about walking up the aisle. It's not the thing which keeps me up at night,' says Lulu. Lulu says her father wrote her wedding speech when she turned 16, and on every birthday of hers, her mother prayed for a good husband. Lulu previously worked as a freelance journalist and a communications consultant for the International Organisation for Migration. In 2013, she received a BA Media (film) scholarship from Macquarie University in Australia. After completing her undergraduate degree, she turned to the UK and applied to Oxford University to study masters, which she started in August 2017. The concept of solo marriage made news in September last year when 40-year-Italian old fitness trainer Laura Mesi married herself. Though she hadn't ruled out eventually marrying another person, she felt her happiness does not depend on finding a man, according to a Telegraph report. In 2015, British PR consultant Sophie Tanner married wed in Brighton after escaping a bad relationship.